On 1 July, I delivered a public lecture at the National Library of New Zealand entitled ‘Magna Carta, human rights, and the Treaty of Waitangi today’. 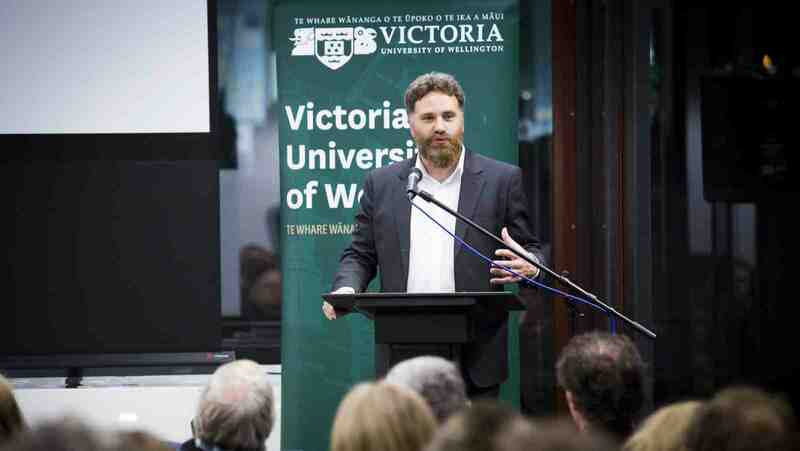 As well as marking the 800th anniversary of Magna Carta, this lecture was part of the series on conflict jointly presented by the National Library and Victoria University of Wellington. As the title indicated, a key focus of my lecture was on the way in which Magna Carta has provided a powerful symbol in the development of human rights and the way in which we understand those fundamental rights apply today. In particular, the idea that a sovereign power is constrained by the rights of the citizenry, given expression in Magna Carta, is central to the system of international human rights. Similarly, the principle that nobody is above the law and that everyone is entitled to the equal protection of the law is also reflected in the principles of equality and non-discrimination that underpin modern human rights. The Treaty of Waitangi is increasingly being explicitly linked to international human rights instruments. The United Nations Declaration on the Rights of Indigenous Peoples, adopted by the General Assembly in 2007, describes the application of principles of equality and non-discrimination to indigenous peoples and has been drawn on by the Waitangi Tribunal to support the application of the principles of the Treaty. The lecture drew a crowd of just over 100 people and there were a number of thought-provoking questions and comments from audience members at the conclusion of the lecture. People were interested in a range of different aspects touched on in the lecture, including how the principles of the rule of law operated in practice, what were the circumstances that led to the various restatements of Magna Carta, how the collective rights of indigenous peoples related to the individual rights of group members, and what effect the New Zealand governments belated and qualified acceptance of the UN Declaration on the Rights of Indigenous Peoples might have for the implementation of Treaty of Waitangi rights. It was a real pleasure to have the opportunity to discuss these important issues with such an engaged and insightful audience. Click here to view Dr Carwyn Jones’ blog post on the topic, including an audio stream of the lecture. Click here to view Dr Carwyn Jones’ piece on the topic from the Dominion Post.